In Part 1, I gave my selections for Twins prospects 41-50. Earlier this week, Part 2 reviewed Twins prospects 31-40. Today, the countdown continues with Part 3, my choices for Twins prospects 26-30. This is an interesting group of prospects. While there is a free agent whom I would hope the Twins would want to bring back, the four other players are high-ceiling types but very raw and inexperienced. They are the types of players who could move up this list a lot in 2018.With that, let’s take a look at my choices for Twins prospects 26-30. Marte is one of the more intriguing names on this prospect list. Signed in July out of the Dominican Republic for $3 million, most believe that he has the potential to stay at shortstop. He’s got good speed, range and a strong arm. While he is currently about 5-10 and 140 pounds, it is believed that he will grow. There are mixed opinions about his offensive potential While many believe that he will likely be a bottom of the order hitter, some think that he could grow and eventually add some power. He could begin his pro career in the Dominican Summer League in 2018, though it’s possible he’ll move up to the GCL. Rodriguez recently became a free agent. He was drafted by the Twins in the sixth round of the 2011 draft out of high school in Florida. He spent the first three seasons of his pro career as an outfielder in the rookie leagues. He started the transition to pitcher in 2014. In 2015, he was the Appy League Pitcher of the Year. He finished the 2016 season with a 2.56 ERA in Ft. Myers. He was an All Star for the Miracle in 2017, going 5-2 with a 2.51 ERA. He moved up to AA where he went 5-4 with a 3.94 ERA. Last offseason, he helped win a championship in the Puerto Rico Winter League and was then named an alternate for the talented Puerto Rico WBC team. He’s 25 but continues to take strides forward. He throws 90-93, touching 94. He’s got a good slider as well and a changeup. He was able to get more ground balls. He even got to attend his father’s Hall of Fame induction ceremony in Cooperstown in August. 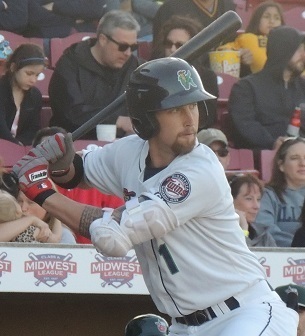 Bechtold was the Twins fifth-round draft pick this year out of junior college powerhouse Chipola College. Coming out of high school, he went to Maryland. He made seven starts before getting hurt and getting a medical redshirt. In 2017, he hit .419/.532/.676 with 12 homers. He had committed to LSU but instead signed with the Twins. At Elizabethton, he hit .299/.406/.424 with ten doubles and two homers. At 6-1 and 195 pounds, Bechtold was moved to third base at Chipola (though he may have played shortstop at LSU). He already has shown his ability to work the count and take walks. He also has a chance to hit for a lot of power. So there you have Part 3 of my Top 50 Twins Prospect rankings, prospects 26-30. Be sure to check out Part 1 (41-50) and Part 2 (31-40), and feel free to discuss any of these players or ask questions below. 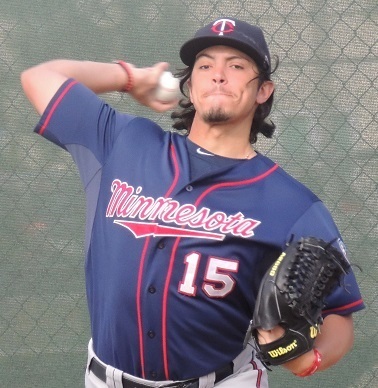 Dereck Rodriguez is a 6-year FA this year, right?Any word on whether he'll re-sign with the Twins? Whitefield and Rodriguez seem really high to me based on some of the names behind them. I know Whitefield is still more raw than the typical prospect his age but striking out in over 25% of his at bats in A ball while only drawing walks in 6% would be a red flag for any prospect.I don't think the tools justify a ranking this high.I'd have him closer in ranking to someone like Jaylin Davis. On Rodriguez, I buy giving a guy a little bit of a boost for bloodlines in the lower levels, but he's been at least a year old for his level the last 2 years and he's not blowing away the competition.His stuff projects as back of the rotation starter but he doesn't really have the track record to indicate he's very close to reaching that.I'd easily put Slegers ahead of him for proximity and Tyler Wells and Watson ahead for potential. I'd also have Jax lower but that's more on uncertainty about how much time for development he'll get and if that'll make him fall too far behind. Jax & Rodriguez are ahead of Moya? Jax should be off the list completely. I'd put several relief arms ahead of Rodriquez. I like Bechtold a lot b/c it looks like he can take a walk. Mid 20s, for now, seems about right but I could really see him jumping up the lists next year. I've mentioned this before but I have a friend who is an international scout for the Royals and he really liked Whitefield. He even posted some Whitefield video on his facebook account after he signed with the Twins. He's a fan. He says he's raw but already further along than he thought he'd be. He thinks he'll make the majors. Marte is exciting. Very far away, of course, but nice ceiling.Glad he's in our system. Correct... I just have a feeling that he is a guy that they should want to bring back, so I'm choosing to include him here. In my opinion, yes. Both throw harder. Moya's had a ton of success. I mean, he was MiLB's Minor League Reliever of the year, but the profile for him is a good lefty middle reliever. Rodriguez could be a starter, or eventually a late-inning guy. Jax has really good stuff. He'll be a little older when he gets there (if he gets there), but his stuff could be really good as a starter. First, bloodlines had nothing to do with his ranking for me. I do think his stuff can be pretty good. I don't care much about the age-to-level for Rodriguez because he did spend those three years as a hitter/outfielder. I can see the Slegers argument. But then again, we're talking prospects 29 and 34... there's really not a ton of difference there in the bigger picture. I am big fan of Whitefield.Steals bases with ease.Plays good defense and he was hitting around 300 half way through the season and then started slumping or got pitched to differently and struggled.Since he hasn't played baseball for that long and is only 21 I think you have to give him a bit more time to adjust but he looks like the real deal to me.The K rate is troubling but another season will tell us more.That off-speed stuff seems to slow hitters down as they move up levels.I think that with the great defense he provides and a likely improving bat he is worthy of a 26 to 30 ranking. I don't see it with Rodriguez. He's borderline top 50 to me. Agree with your take on Bechtold. A.406 OBP is impressive, especially if it comes with some power in the future. Funny you mentioned the Royals. Every time I see the name Whitefield I think of Whit Merrifield. I agree - Dereck Rodriguez is currently a free agent and shouldn't appear on the list. I love these articles. Always interesting. My only quibble is that many, if not most of the capsules don't list the age of the player. The stats are hard to evaluate without knowing the age. Marte, for instance, might seem obvious because he was a 16-year-old international signee, but it would be nice if I didn't have to bother doing the math. Anyway, just a request. Either way, the ranking articles always get an A+ from me. Boy.I have a hard time seeing this.I think of Moya as much more than a Lefty/Middle guy.His SO numbers are insane, guys don't get on base against him.While Rodriguez might not be in the Org next year and Jax is on the shelf for 2 years. Part of what can happen when you release the list this early, sadly, and especially when you go this deep. Welp, another quick exit from this list as the Twins voided the contract of #30 prospect SS Jelfry Marte.